Centralia, PA. A small town lost to a mine fire. 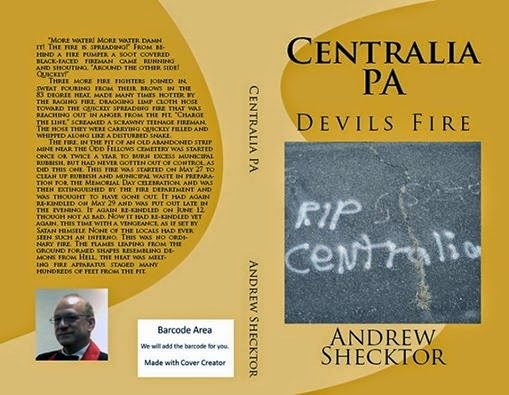 For 1 week only - from December 29 through January 7 - you can purchase the Kindle version of my book, "Centralia PA, Devils Fire." for on 99 cents! Fun to read, even if you don't have a particular interest in Centralia. It is a fictional story, loaded with facts and metaphors as in "The Wizard of Oz." A must read, and now only $0.99! 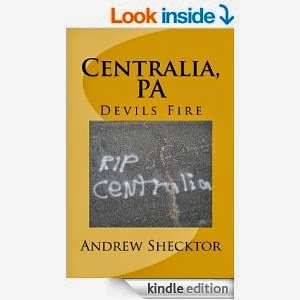 What the book, "Centralia PA, Devils Fire" is all about! It is winter and book sales have slowed. Sold a few for Christmas gifts, and some at the local bookstores. Hey! 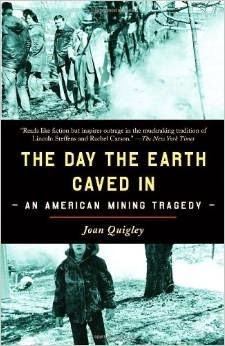 This book is not just for folks interested in Centralia! It is a fun, if not campy, sort of novel, wrapped in three levels of writing. The first is as a "campfire" tale, with demons and priests and witches. But, just like "The Wizard of Oz" these demons actually are metaphors for the mining company interests. The priests, witches and others are the townspeople, the Molly Maguires, and others coming to save the day. And overall, the book represents my personal beliefs regarding big business, politics, and religion. All of the information in the book is accurate historically, but has been re-positioned to fit the novel. So, when the story speaks of demons, of course there were no REAL demons, however, the demons used as metaphors are historically accurate, as are all of the services performed, etc. In short, you can learn a lot of history while enjoying a fun story aimed at readers of all ages! Centralia PA, Devils Fire - What "Silent Hill" should have been! A bit of clarification on my book. 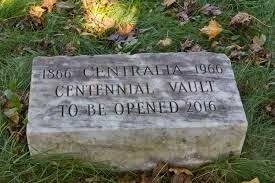 Looks like the Centralia time capsule is going to be opened this Saturday instead of 2016. Seems that the vandals that destroyed it also let water get into the contents. There will be a distribution of contents and food and refreshments this Saturday (10/6) beginning at noon at the Centralia American Legion in Wilburton No. 2. Contact for the event is Commander Ed Lawler, 570-205-9495.